Any person in whose private grounds or premises such pedlar is found. 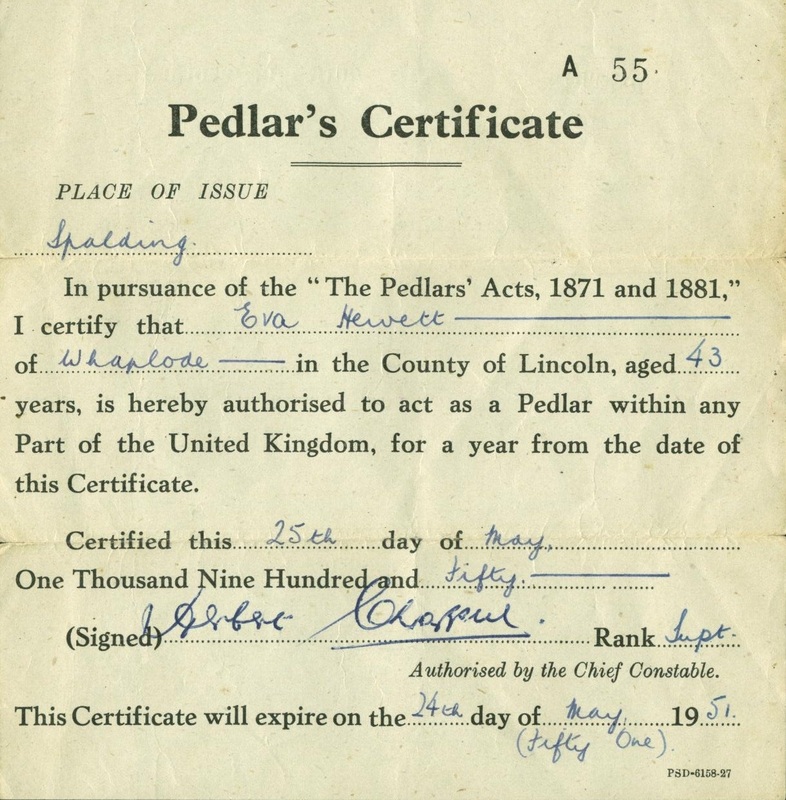 The sale of goods was a thread that ran through the whole of the Gypsy employment spectrum, with pedlars going door to door selling wares including artificial flowers, pegs, home made brushes and brooms, crockery and pots and pans. Many pedlars offered other services, repairing items or telling fortunes, with Eva Hewett listing her trade as both pedlar and palmist.